Derwent Bridge is a locality on the Lyell Highway at the southern edge of the Cradle Mountain-Lake St Clair National Park.It is just south of Lake St Clair and the Lake St Clair visitor centre; and it is north of Lake King William and the Butlers Gorge Power Station.It is also the last inhabited location before Linda Valley in the West Coast Range - this section of the highway passes through the Wild Rivers National Park. Start off your visit on the 22nd (Sat): appreciate the history behind The Wall in the Wilderness, then take some stellar pictures from King William Saddle, and then take in the awesome beauty at Franklin-Gordon Wild Rivers National Park. 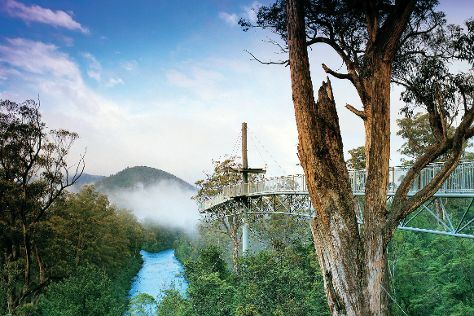 For more things to do, where to stay, reviews, and tourist information, refer to the Derwent Bridge online trip itinerary builder . Amsterdam, The Netherlands to Derwent Bridge is an approximately 34-hour flight. The time zone difference when traveling from Amsterdam to Derwent Bridge is 9 hours. Finish your sightseeing early on the 22nd (Sat) to allow enough time to travel to Port Arthur. Escape the urban bustle at Fortescue Bay and Tasmanian Devil Unzoo. 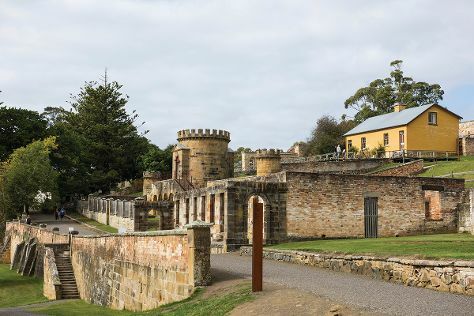 Get some historical perspective at Port Arthur Historic Site and Australian Convict Sites. Change things up with a short trip to Tasman Arch in Eaglehawk Neck (about 32 minutes away). Fill the 25th (Tue) with the natural beauty at Lime Bay State Reserve. For maps, reviews, other places to visit, and other tourist information, read our Port Arthur trip itinerary maker . Drive from Derwent Bridge to Port Arthur in 3.5 hours. In February, daytime highs in Port Arthur are 26°C, while nighttime lows are 14°C. Finish your sightseeing early on the 26th (Wed) to allow enough time to travel to Geeveston. Start off your visit on the 27th (Thu): trek along Tahune Forest AirWalk and then take in the dramatic scenery at Arve Falls. Get ready for a full day of sightseeing on the 28th (Fri): stop by Cygneture Chocolates, sample the tasty concoctions at Pagan Cider, then get engrossed in the history at Cygnet Living History Museum, then do a tasting at St Imre Vineyard, and finally look for all kinds of wild species at Duck Hole Lake Walk. To see ratings, where to stay, other places to visit, and more tourist information, use the Geeveston trip builder tool . Drive from Port Arthur to Geeveston in 2.5 hours. February in Geeveston sees daily highs of 26°C and lows of 14°C at night. Wrap up your sightseeing on the 28th (Fri) early enough to travel to Bruny Island. Visiting South Bruny National Park and Bruny Island Quarantine Station will get you outdoors. Get a sense of the local culture at Cape Bruny Lighthouse and Forestvale Design Centre. 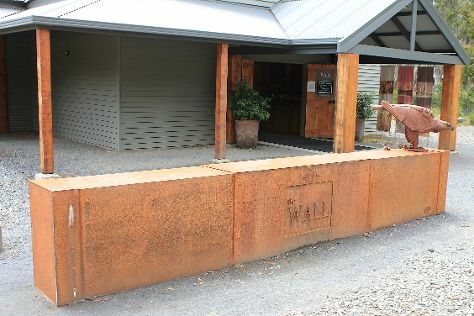 And it doesn't end there: don't miss a visit to The Neck, stop by Bruny Island Honey, learn about winemaking at Bruny Island Premium Wines, and take in the exciting artwork at Art at The Point Gallery. To see other places to visit, photos, maps, and more tourist information, you can read our Bruny Island trip planner . Drive from Geeveston to Bruny Island in 2.5 hours. Expect a daytime high around 26°C in February, and nighttime lows around 14°C. Finish your sightseeing early on the 3rd (Tue) so you can travel to Hobart. Satisfy your inner culture vulture at Cascades Female Factory Historic Site and Hobart Convict Penitentiary. 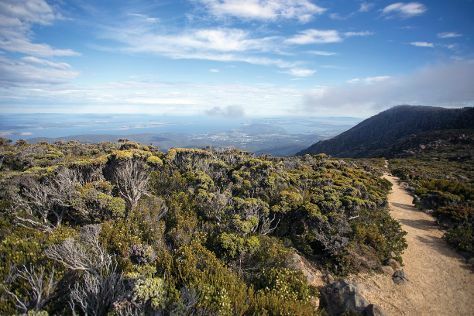 Get in touch with nature at Mount Wellington and Long Beach. Explore the numerous day-trip ideas around Hobart: Zoodoo Zoo (in Richmond), Raptor Refuge (in Kettering) and Huonville (Picton River & Mount Misery Walk). Spend the 5th (Thu) wandering through the wild on a nature and wildlife tour. On the 8th (Sun), give your taste buds a day to remember with a local gastronomic tour. There's still lots to do: appreciate the extensive heritage of Battery Point Sculpture Trail, admire the natural beauty at Royal Tasmanian Botanical Gardens, get curious at Tasmanian Museum and Art Gallery, and take a leisurely stroll along Constitution Dock. To see reviews, ratings, and other tourist information, read Hobart trip tool . Traveling by combination of car and ferry from Bruny Island to Hobart takes 2 hours. Alternatively, you can do a combination of taxi, ferry, and bus. In March, daily temperatures in Hobart can reach 25°C, while at night they dip to 13°C. Finish up your sightseeing early on the 12th (Thu) so you can travel back home.